Much as everyone wants this world to be a crime-less place, there are wrongdoings and criminal acts still existing. One lives on with the hope that the ruthless would stop committing crime one day. But when it comes to the rich escaping from their offence, one can expect for a better law and order system in the world. If you are an aspiring attorney, you need to dig into criminal history other than your books. You can read about ten rich people who deserved be on trial for their murders. 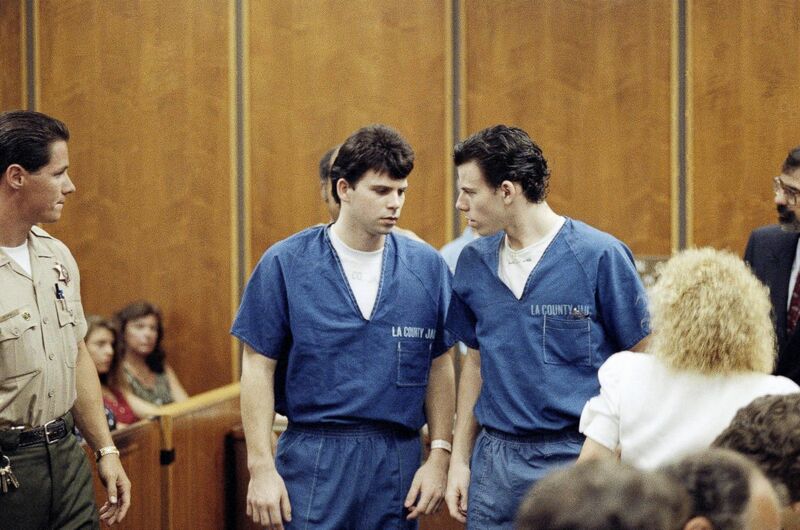 The Menendez brother’s murder case much more than a crime of rich people, who think they get away with their crimes. These brothers had sociopathic tendencies, which made them want to kill their father. In their defence both, the brother's said that their father was abusive. And while planning to kill him, they felt the need to also have to kill their mother. So, the brothers had framed a burglary scene and carried out their murder plan. So what it is that revealed their crime? One of the brothers Erik confessed the sin to his ex-girlfriend and a psychotherapist. Made into a famous documentary in HBO, named The Jinx: The Life and Deaths of Robert Durst, it is one of the intriguing murder stories. Durst was a suspected in three murders, namely Morris Black, his neighbour, Kathleen Durst, first wife and also Susan Berman his friend. Reports say that he killed Black with two saws, an axe, and a knife. He got acquitted of this murder. It's because Durst had claimed self-defence. It is where the prosecution had nothing to do. It is one of the gruesome stories, where the murderer killed and even ate the body of the victim. And getting away with murder as well as cannibalism is astonishing. Issei Sagawa was caught with a suitcase that had the body parts of one of his classmates. The name of this classmate, a lady, was Renee Hartvelt and one day before Sagawa had cannibalised her. Surprisingly, he had committed the same to the police, who found him insane. He wasn't able to withstand a trial and got sent back to Japan. The Japanese couldn't convict him. But he died of poverty back in 2005. Stories of a man killing his wife are familiar. Here' another tale of Allen Blackthorne, who had hired a man for a ransom to murder his wife. Both husband and wife had two children. But they had a very bad broke up. After his wife won the child custody, he hired a man named Jose Luis Del Toro Jr to kill his wife. Records suggest that he had died at 59 back in prison. No one can get to the mind of a criminal. Hence, the news of John Du Pont killing Dave Schultz came with much shock. Du Pont belonged to a prosperous family. His grandfather was into gunpowder business. However, Du Pont had created a vast Olympic training facility and welcomed wrestlers to come and stay there. Gradually his behaviour started to become strange. Reports suggest that he didn't leave the compound. He used to get wrestlers to keep a check on spirits and ghosts. And one day his erratic state of mind made him kill Schultz. It is essential for every DUI attorney Denver co to know about these famous murder and crime stories by the rich people. It will make them better lawyers. Joran Van was a criminal who almost escaped with one murder twice. He was charged guilty for his criminal acts towards Natalee Holloway, who was an American teenager. Joran always got arrested, but hardly accused of the crimes he did. Records suggested that he had sold Natalee for sexual slavery and later threw the girl’s body to the sea. Much later, he got sentenced to 28 years of jail in a Peruvian prison for the merciless murder. There have been situations when wealthy kids commit a crime. In this story, Loeb and Leopold were rich kids who had kidnapped a child and then murdered him. The news surfaced back in 1924. These kids wanted to plan a perfect murder. But what resulted was a slightly awkward murder which made their crime very visible. They tried to kidnap the child, charge a ransom and finally murder the kid for their fun. They had mercilessly killed the kid by beating his skull. As evidence, Leopold's glasses were found at the crime spot. Leob died while Leopold served a long-time sentence. Records suggest that John Brooks and his son had killed one of his employees. They both suspected this employee of stealing a few motorcycles and a trailer from them. Hence, two men got recruited to address the matter. Then young Brooks with the help of one of the men hired had attacked the employee. The victim was first ambushed and then murdered mercilessly with a hammer. John Brooks used to be a financial backer, who paid his friend and his son for the work. However, both men that got recruited got convicted of murder. One of the high-profile murder cases involved Michael Skakel, who is the wealthy nephew of Ethel, Kennedy's wife. Back in 1975, a lady named Martha Moxley got killed in her backyard. Skakel was one of the neighbours. However, he completely denied his crime! It was in 2002 that the man was proved guilty. Phil Spector is a millionaire and a reputed music producer. He had several hits to his credit. Everything changed in 2003. An actress named Lana Clarkson was found dead with a gunshot injury on her face at the music producer’s house. Spector claimed that death happened due to suicide. But the proceedings in court made everyone come to terms with the hidden violence of the music director. He had to be in prison for 19 years for his murder. It's tough to understand criminal psychology clearly. However, when you get to study these ten brutal murder stories individually, you can aware of the way criminals present their accounts before the police and the entire legal system. It will help you prepare better as a lawyer and turn you into a more well-informed person.